La Romana “The Roman One” is a small village, located in the foothills of the Serra del Reclot a few kilometres from Algueña and several kilometres from Hondón de las Nieves and Novelda, in the community of Valencia in Spain. The history of La Romana goes back to 1449 La Romana appeared as part of the barony of Novelda. Part of the territory was occupied by the Moors until 1609. La Romana became an independent municipality from Novelda in 1929.Until 1930 the village was owned by the Marquis of La Romana, who eventually sold it to the settlers and tenants who farmed the land. La Romana is surrounded by a magnificent countryside where vineyards and almond orchards are grown. The area is also noted for the number of quarries producing marble and limestone. There are a number of cave dwellings around La Romana which are still in use, many having been converted into modern homes. The main village is set out on a grid pattern of mostly one way streets with very few building higher than one storey, with clean, tree lined streets. La Romana has all the amenities you would expect in a small village – shops, bars, restaurants etc. On the edge of La Romana, there is a communal swimming pool set in beautiful wooded parkland, and within 20 minutes drive of the village there is the excellent Alenda Golf Course. The town's popular Moors and Christian fiesta is held in August each year, with the villagers taking a whole year to prepare for the event. 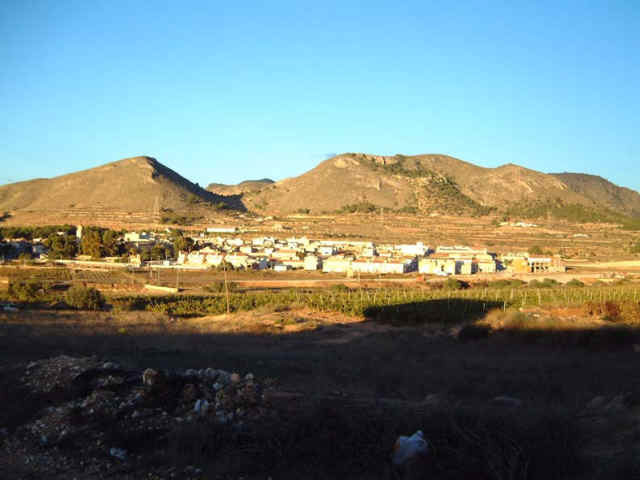 La Romana is a very accessible village, situated only 30 minutes from Alicante, and 25 minutes from Alicante airport. La Romana is a welcoming, beautiful and traditional Spanish village. It is becoming an increasingly popular place to live.